The cuts to Medicaid move from entitlement to a state-based per-capita grant program, eliminating all but the neediest from the benefit. President Donald Trump’s budget, “A New Foundation for American Greatness,” cuts more than $600 billion to Medicaid over the next 10 years by eliminating Medicaid as an entitlement and changing it to a state-based per-capita grant program, eliminating all but the neediest from the benefit. The budget reforms Medicaid funding to states starting in 2020 through either a per capita cap or a block grant, saving $610 billion through 2027, it said. Another $6 billion would be cut from the Children’s Health Insurance Program. CHIP has been extended in the budget for two years, through fiscal 2019. In 2018, the federal share of current law Medicaid outlays is expected to be approximately $407.6 billion. Without reforms, the Centers for Medicare and Medicaid Services Office of the Actuary estimates total federal and state Medicaid spending will be nearly $1.1 trillion by fiscal 2027, comprising 3.5 percent of the nation’s gross domestic product. The budget proposes a set Medicaid price for primary care services in a model called Direct Primary Care. Physicians offer primary care services to patients at a set price, generally without payer or insurer involvement. Some Medicaid programs are already testing this innovative care delivery model, according to the budget. The Department of Health and Human Services proposes working with states and providers to further expand direct primary care. Under the current Medicaid expansion plan in the Affordable Care Act, which has been adopted by 31 states and the District of Columbia, numerous individuals have healthcare coverage who didn’t get it prior to the ACA. The Medicaid program, established in the 1960s, requires coverage for low-income children, pregnant women and certain adults, seniors and people with disabilities. The ACA expanded Medicaid to all individuals with incomes up to 138 percent of the federal poverty level. “The budget ensures that Medicaid and other programs focus on the most vulnerable Americans that they were intended to serve—the elderly, people with disabilities, children, and pregnant women,” it said. While the 2018 budget keeps requirements under the the current ACA law, it makes clear that the Affordable Care Act will be replaced. The budget includes $250 billion in net deficit savings over 10 years associated with healthcare reform. 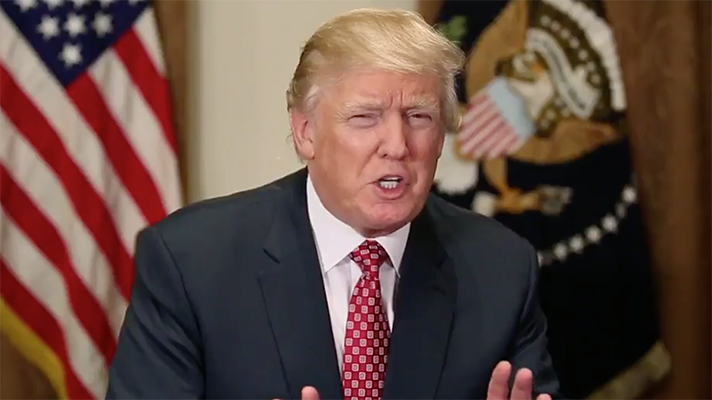 “The Administration continues to support a repeal and replace approach that improves Medicaid's sustainability and targets resources to those most in need, eliminates Obamacare’s onerous taxes and mandates, provides funding for states to stabilize markets and ensure a smooth transition away from Obamacare, and helps Americans purchase the coverage they want through the use of tax credits and expanded Health Savings Accounts,” it said. This would result in $250 billion in combined savings. The budget does not include any direct Medicare cuts but does propose to get rid of the Independent Medicare Payment Advisory Board, an entity established under the Affordable Care Act and separate from the Medicare Payment Advisory Commission. All remaining administrative funds would be rescinded, saving $7.6 billion in costs over 10 years. It proposes medical liability reforms to reduce medical malpractice costs and the practice of defensive medicine, saving $31.8 billion over 10 years and $55 billion to the federal government overall. “A significant portion of these savings are attributable to the estimated reduction in unnecessary services and curbing the practice of defensive medicine,” it said. Specifically, the budget would cap awards for noneconomic damages at $250,000 indexed to inflation, provide safe harbors for providers based on clinical standards, allowing evidence of a claimant’s income from other sources such as workers compensation and auto insurance to be introduced at trial, provide a three-year statute of limitations and allow courts to modify attorney's fee arrangements, among other proposals. It proposes decreasing or eliminating regulations. The National Institute of Health will implement reforms to the indirect rate setting process and reporting requirements by applying a uniform indirect cost rate to all grants. This preserves more funding for direct science. The budget also proposes the elimination of the Fogarty International Center, but retains all federal staff and maintains key activities in other NIH Institutes and Centers. This change will enable NIH to focus on higher priority activities, according to the budget. The budget consolidates the Agency for Healthcare Research and Quality into NIH and maintains $272 million in discretionary funding for these activities. As part of this consolidation, NIH will conduct a review of health services research across NIH and develop a strategy to ensure that the highest priority health services research is conducted. The budget reduces or eliminates lower-priority programs that overlap with activities administered by other components of HHS. The budget includes investing $1.3 billion over 10 years to address the pending backlog of the Medicare appeals pending at the Office of Medicare Hearings and Appeals and the Departmental Appeals Board. The budget invests an additional $70 million in new Health Care Fraud and Abuse Control Program funding in 2018, an investment expected to pay off in returns. The budget closes the Medicare Part D coverage gap called the “donut hole” through a combination of manufacturer discounts and gradually increasing federal subsidies. Beneficiaries fall into the coverage gap once their total drug spending exceeds an initial coverage limit $3,700 in 2017, until they reach the threshold for qualified out-of-pocket spending at $4,950 in 2017, at which point they are generally responsible for 5 percent of their drug costs, according to the budget. Previously, beneficiaries were responsible for 100 percent of their drug costs in the coverage gap. In 2018, non-low income subsidy beneficiaries who reach the coverage gap will pay 35 percent of the cost of covered Part D brand drugs and biologics and 44 percent of the costs for all generic drugs in the coverage gap. Cost-sharing in the coverage gap will continue to decrease each year until beneficiaries are required to pay only 25 percent of the costs of covered Part D drugs in 2020 and beyond. It would also exacerbate the opioid epidemic, he said. “Cuts to middle-class programs like Medicaid will force working families to choose between sending their children to school and caring for aging parents,” he said. Correction 5/24/17: An earlier version of this story incorrectly identified the agency being cut. It is the Independent Medicare Payment Advisory Board.